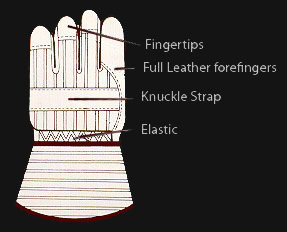 Elite Leather Creations is a reputed name in the industrial safety gloves. Our products are made with hi-tech machineries. We are offering wide range of industrial gloves for various applications depending upon different specifications and requirements. 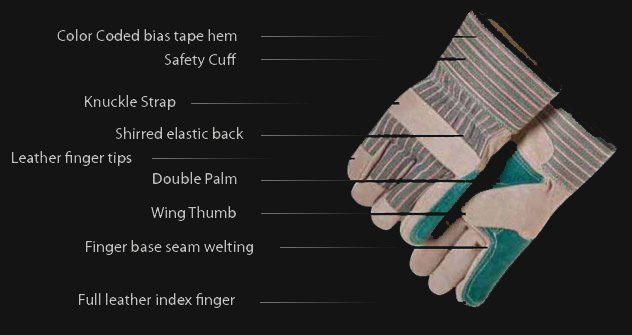 In order to give a quick view of glove structure and manufacturing specifications we are sharing Gloves Guide so that you may get more out of your pair of Gloves. 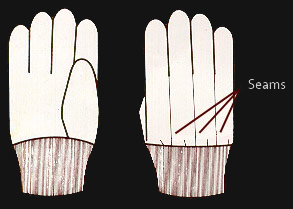 Various fabrics that combine strength and softness are used in the manufacture of work gloves. The most popular of these is canton flannel; another is knit jersey; a third is terry cloth. 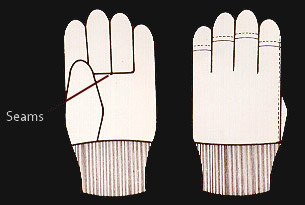 These have been the basic materials for work gloves for the last fifty years. Cuffs for work gloves are made either of knit jersey or various drill materials, laminated with rubber to give them substance and strength. length. The filling used to weave the material is a thick soft yarn. A napper catches the fibers on the filling and pulls them out, giving the cloth a nap, which is soft to the hand. Basically, its purpose is to keep abrasion from the hand. The drill side is usually presented to the work. This material is typically made in widths of 35 inches. As an industry standard, the most popular is the material weighing 8-ounces for one square yard. Heavier material is available in graduations of two ounces, i.e., 10 ounces, 12 ounces, etc. When material is over 12ounces per yard, it is usually combined with another woven flannel to make double thickness, double palm gloves. Jersey is much the same, being knit with a combination of thin strong yarn and thick soft yarn. It is knit in a tubular form and it too is run through the nappers to give the soft, fleecy feel which is generally used as the inside of the glove. Terry cloth, on the other hand, is all the same type of yarn and is made in loops to give a cushioning effect to the hand. The loops and twirls tend to prevent edges of steel, burrs, etc. from cutting through as they would a smooth surface, giving added safety. Generally, leather has the same appearance but has very different wearing qualities. 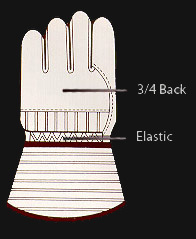 In our catalog we have grouped series of gloves together by the material. The different groups are made up of different materials. Within the groups the patterns are very similar, the wrist protection is similar, and the accessories such as tips, elastics & knuckle straps can be applied to the various basic materials giving a wide variety of styles. Elite Leather Creations have the flexibility to make gloves of other materials or different combinations of the materials already mentioned using the basic patterns. 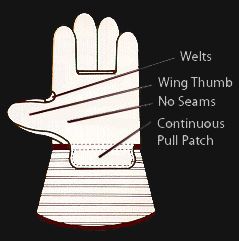 In order to determine what materials should be used and how they should be combined, the greatest help is to submit used gloves so we can analyze the wear points and do everything possible to minimize this wear. Taking away unnecessary materials is another cost reduction possibility. Please feel free to inquire regarding any safety problems you have – we would be oblige to help you out.